A cross-country auto ride along the secondary roads that often parallel the 70 mph Interstate System offers a visual potpourri of billboards, junk yards, motels, hamburger stands, gas stations and other blights on the fading landscape. But now there is to be some comic relief from this optical vexation—compliments of the cartoonists and the syndicates that distribute their funny features to newspapers. Characters right out of the comics pages will adorn drive-in food stands and an assortment of other businesses for travelers. The “Little King” restaurant chain has been in operation since last winter. Otto Soglow, who draws “Little King” for King Features Syndicate says the chain has about 20 units. And this is a royalty business. Reggie Smythe, English creator of “Andy Capp,” syndicated by Publishers-Hall, is negotiating with a food franchise outfit to establish 500 “Andy Capp” fish ‘n’ chips shops across America. To cite one example of the profit involved in the food business, Al Capp, creator of “Li’l Abner” (Chicago Tribune-New York News Syndicate), signed a million dollar contract with Longchamps Inc., the New York restaurant concern, for the use of characters, graphics and special features of his strip. Capp is to be paid the $1-million in advance against royalties over 10 years. It was not disclosed how much the syndicate would realize under the agreement. Longchamps plans the first “Li’l Abner” within 50 miles of New York City and “one or two” in Florida. The restaurant’s facade will portray a typical structure in “Dogpatch” and will have an “endless string of frankfurters coming out of the kitchen.” “Hamus Alabamus” barbecued sandwiches and “Mammy Yokum” fried chicken will be featured. Food prices will range from 20 cents to $2. King Features is deeply involved in the food franchise business as many of their contract artists’ characters are lending themselves to roadside munching. Fred Lasswell’s “Barney Google” was signed this year by a Columbus, Ga., franchiser which hopes to build a string of “Snuffy’s Shantys” across the country. A KFS spokesman said the builders’ plan is “grandiose,” as they hope to have 700 shops in operation by 1970. The simple menu includes “Loweezy’s Baked Beans” for 24 cents and “Hillbilly Chili” for 35 cents. Hot dogs will go for 19 cents. Little King International Inc., a subsidiary of Spectrum Ltd., which is an affiliate of Transcontinental Investing Corp., is awarding bargain-price “Earldoms” ($7,995 “plus good credit and character”) to interested parties who want to venture into the fast-food business. The “Little King” structures resemble mini-English castles, but the bill of fare features moderately priced Italian hero sandwiches. If the chain becomes successful, Otto Soglow will be kept barnstorming across America to draw cartoons of the customers when a new “Little King” restaurant opens. Of all newspaper syndicates engaged in diversification, King might well be the most progressive as their complex international merchandising operation is in the multi-million dollar category. Their animated, live action Beatles film, “Yellow Submarine,” enjoyed rave reviews. $10 to $15-million would be very nice.” More than 200 “Yellow Submarine” merchandising items are being marketed internationally in conjunction with the film. Just as King had more than three years of negotiating to recover picture rights to “Blondie” from Columbia Pictures in order to syndicate the package of old films as well as shoot its current CBS TV series, so the firm has acquired film rights on “Valiant” back from 20th Century-Fox which made a live-action feature of the pageboy-bobbed cartoon-strip hero 14 years ago. The fact that these three features all have comic-strip origins or influences is only coincidental, Jerry Berger said. “Right now we have access to five of the best-selling adult novels of the past few years, which we’re working on making into films” but final rights are still being negotiated, according to Berger. King’s entrance into feature production was conceived two years ago, but full-scale operation was not really implemented until Berger came to the shop early this year. The latest “Peanuts” product is a hard-cover collection of cartoons about “Charlie Brown,” called the “Peanuts Treasury.” The publishers, Holt, Rinehart & Winston have printed—as a starter—100,000 copies of the book, which is selling for $4.95 — and, no doubt, will last no longer than halfway through tomorrow. Sticking just to “Peanuts” books and disregarding the millions who follow the strip in newspapers or have seen “You’re a Good Man Charlie Brown” on stage, the figures are astronomical. Holt began publishing the books in 1952 and has sold 8 million copies. Fawcett Publications, also Peanuts vendors, have sold 33 million copies. The New American Library, which has a few “Peanuts” titles of its own, has sold 3,670,000 of these. In California, Determined Publications, which actually was founded with a “Peanuts” book — “Happiness Is a Warm Puppy” — has had sales of 3 million-plus copies over the several titles it commands. Last but not least, the Presbyterian publishing house of John Knox Press in Richmond, Va., has had one title, “The Gospel According to Peanuts.” To date paperback sales have exceeded 820,000 and hardcover sales, 14,000. Bantam paperback sales of the same, 800,000. And as a postscript to this, Harper & Row recently brought out a new book by the man who did “The Gospel” — Robert L. Short. It is called “The Parables of Peanuts.” Reporting sales of other “Peanuts” properties (dolls, greeting cards, sweatshirts, stationary, pillows, etc.) would fill one entire magazine, if the figures were available — which they aren’t. United Features has “over 1500 clients and syndicates about 50 features.” “Our licensing program,” said Gilburt, “is one that we have developed over a period of years and is an integral part of our syndicate operation.” James S. Hennessy, United’s business manager, is in charge of the merchandising department. In an E&P round-up query of newspaper syndicates regarding their merchandising operations a great deal of pertinent information was gleaned. “We have,” said Raduta, “no formal merchandising department as such, and there are no specific budget allocations for this phase of our operation. When an idea for a commercial application occurs to us we follow through and spend whatever time and money is necessary in an attempt to bring it to realization. And, of course, we are sought out by those wishing a licensing arrangement or option. “We’ve always been diversified,” added Raduta, “to the extent that we’ve sold movie, tv, radio, comic book and merchandising rights to our features providing we hold these rights, no direct endorsement was involved, it did not violate good taste and was not detrimental in any way to the property in question. 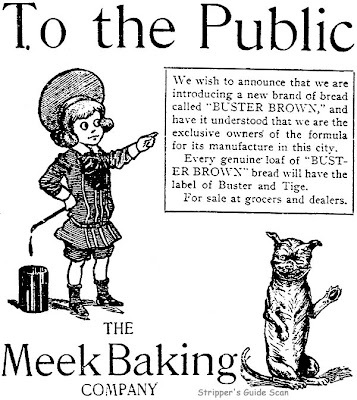 Newspaper Enterprise Association, which sells “75 regularly scheduled features (and at least one special or seasonal feature each week at no extra cost) to more than 750 daily newspapers, does not have an internal merchandising department, but it does have agents which represent the company in sale of comic characters for use on commercials such as toys, clothing and novelties. The activities of these agents are supervised by general manager Meade Monroe, who works with Boyd Lewis, the syndicate’s president and editor. The acquisition by NEA in 1966 of The World Almanac and Book of Facts is probably the best example of NEA’s diversification policy. Since 1958 the Almanac had been sponsored in one city by one newspaper. The 1967 edition under NEA ownership was co-published for nine major market newspapers. For the 1968 centennial edition, the number was increased to 33, and next year 57 newspapers in the U.S. and Canada will be co-publishers of the Almanac. NEA titles which have thus far proven successful: The 1969 Guide to College Selection; What You’ve Got Coming From Medicare and Social Security (700,000 copies sold through newspapers and on newsstands); Cut Your Own Taxes (average sales of 100,000 copies annually since 1965) and some others, which are selling briskly. “Alley Oop” is under option for a Broadway musical production. “A hidden benefit of this,” said Dille, “has been the cross fertilization of ideas and inter-related benefits of the agent giving us ideas for newspaper features and our giving him trademarks to develop in the merchandise field. We are working with two film production companies, one of which becomes a middleman and cuts into our share. They are actually producing a feature film for ‘Buck Rogers,’ but they are doing it for MGM. In return we have a number of options in the newspaper field for their feature film and television materials. Kurt Singer’s syndicate (Singer Features), which is “in the heart of Disneyland” in Anaheim, Calif., bills itself as a small but solid newspaper syndicate, operating for 14 years.” Singer said he has “about 300 regular clients and subscribers. And we service about 100 additional clients on special projects in the field of comic strips, books, pictures, and color transparencies.” Singer’s products are represented in 50 countries throughout the free world and in Communist Yugoslavia. “Another way of dealing with authors is through estates,” said Singer. We found at least three syndicates which had no plans of entering into the lucrative merchandising business. Philip H. Love, Feature Editor (and columnist) for the Washington (D. C.) Star, does business with about a dozen syndicates regularly and “a few others irregularly,” buying over five dozen features and comic strips. Hello, Allan—About this time, King Features also announced a chain of “Katzenjammer Haus” fast food joints, with the accent to be on hot dogs. They printed a folder showing their idea of the Bavarian-style architecture, festooned with Joe Musial caricatures of der liddle bummers. I don’t know if this ever made it further than this pamphlet. Gee, maybe they should have tried a LITTLE IODINE restaraunt!———–Cole Johnson.